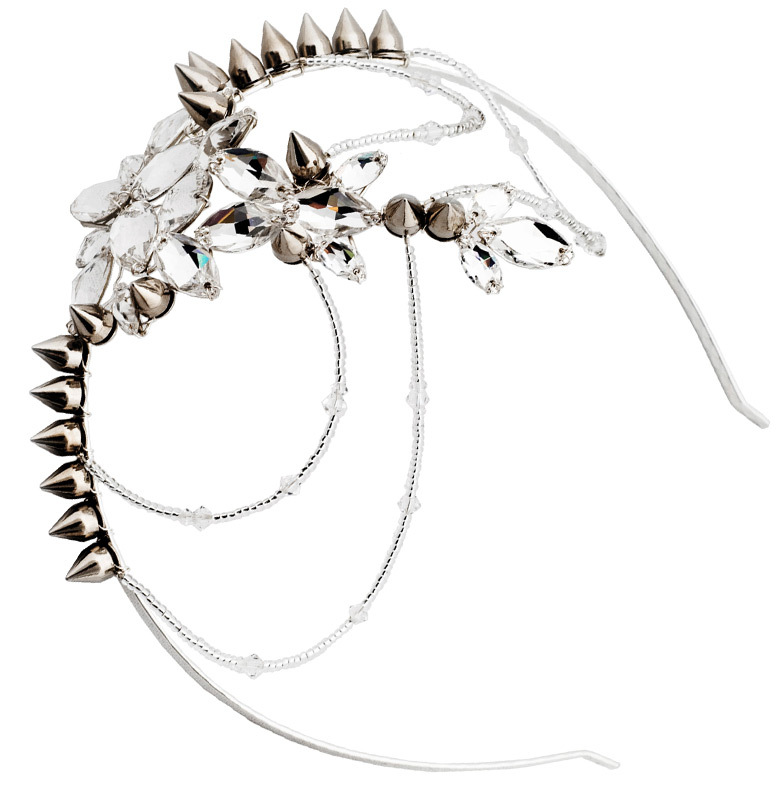 Dare to be dramatic with the Kalista headband, designed with Swarovski crystals, glass draped beading, silver plated wire and band and metal studding. 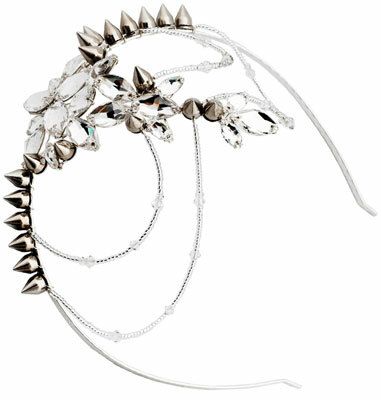 Kalista has a striking look but is still very feminine with delicate detailing of the flat Swarovski crystal and glass draping just over the hairline which compliments central hairstyles. Made completely by hand and in a pattern designed and created by Natasha Jane this is truly a unique piece.